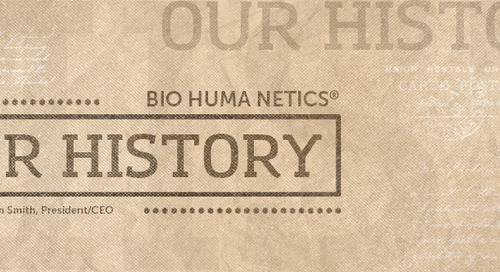 Bio Huma Netics, Inc. (BHN)—an Arizona company that produces products under the Huma Gro®, Huma Gro® Turf, and Probiotic Solutions® brands—has released its 2017 Huma Gro® Product Catalog. 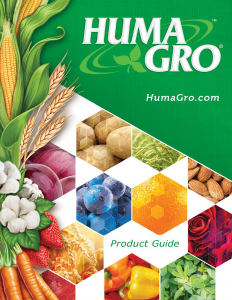 The newly redesigned catalog contains specific information on 45 Huma Gro® liquid crop nutrition and protection products in the categories of Primary Macronutrients (9), Secondary Macronutrients and Micronutrients (14), Optimal Growth Management (8), Sustainable Soil Fertility (5), Carbon-Rich Organic Acids (5), Zero-Residue Crop Protection (2), and Specialty Products (2). In addition, the new catalog provides updated application rates for all products, all new crop programs for 8 key crops, product testimonials from growers who have used the products, and field trial results and photos. 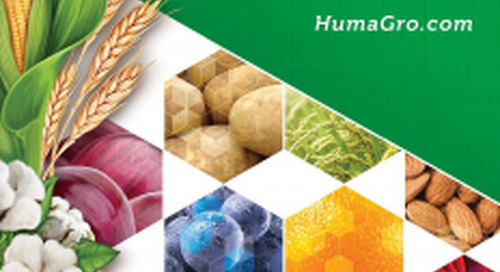 Huma Gro® products are formulated with a proprietary Micro Carbon Technology® that provides an ultra-efficient delivery system for precision nutrition at each growth stage to yield premium crops. In addition, Huma Gro® products have a positive environmental impact by promoting overall soil and plant health through efficient foliar nutrition and the growth of roots and beneficial microorganisms in the soil. The 2017 Huma Gro® Catalog is available to view online or as a downloadable PDF. Print copies of the catalog are available from distributors upon request. More information about Huma Gro®, Huma Gro® products, and the value of becoming a Huma Gro® product distributor is available at www.humagro.com. The Huma Gro® App for Android smart phones is available at Google Play. The post Huma Gro® 2017 Product Catalog Released appeared first on Bio Huma Netics, Inc..